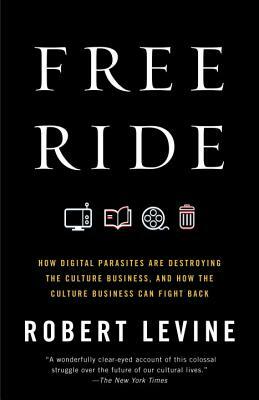 In Free Ride, Robert Levine narrates an epic tale of value destruction that moves from the corridors of Congress, where the law was passed that legalized YouTube, to the dorm room of Shawn Fanning, the founder of Napster; from the bargain-pricing dramas involving iTunes and Kindle to Google’s fateful decision to digitize first and ask questions later. Levine charts how the media industry lost control of its destiny and suggests innovative ways it can resist the pull of zero. ROBERT LEVINE was most recently executive editor of Billboard mag­azine. His articles on technology, business, and culture have appeared in the New York Times, Fortune, Condé Nast Portfolio, Vanity Fair, Rolling Stone, and Travel & Leisure. He lives in New York. "Turbo-reported....Free Ride is a timely and impressive book--part guilt trip, part wake-up call, and full of the kind of reporting that could only have been done with a book advance from an Old Media company." "[A] smart, caustic tour of the modern culture industry."